Tamil film audiences last year were treated to one of the biggest and most successful films in recent times in the form of Vikram Vedha. 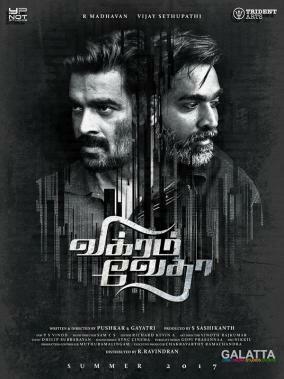 An action crime thriller, Vikram Vedha starring 'Makkal Selvan' Vijay Sethupathi, Madhavan, Shraddha Srinath, Varalaxmi Sarathkumar and Kathir in lead roles, went on to reap laurels for its spectacular storytelling and brilliant performances. Directed by Pushkar and Gayatri under the Y Not Studios banner with music by Sam CS, there has been talk surrounding a Hindi remake of the film for a while now. And, we now have the first major development on the project to be made in Bollywood. Y Not Studios took to Twitter to confirm that the Vikram Vedha Hindi remake will be helmed by Pushkar and Gayatri once again and in joint collaboration with Anil Ambani’s Reliance Entertainment . We will now have to wait and see who all the makers rope in to star in the Hindi remake.